The story begins at high seas on a 12-day voyage across the Indian Ocean in the bowels of the SS Karanja bound for Bombay. It is February 1972 and the author has 200 pounds, stitched into the inside pocket of his trousers by an Indian tailor in Mombasa “wise to the embraces of Indian pickpockets”. The thousand-mile journey to his ancestral home in an ancient village in North Punjab lies ahead. It is an odyssey that will initiate a lifetime of transnational wandering and migration. 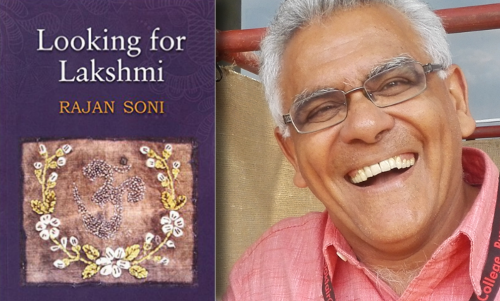 Drawing on aspects of memoir and travel writing, Looking for Lakshmi by Rajan Soni tells the story of the author’s search for an elusive paternal Indian grandmother, Bibiji. 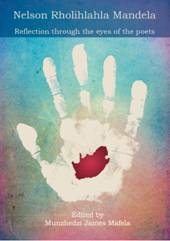 Looking for Lakshmi was published by Unisa Press earlier this year and forms part of the Flame Series, a groundbreaking collection of books that push the boundaries of traditional academic publishing. 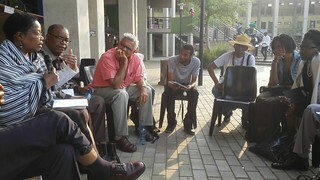 Soni attended the 2015 Jozi Book Fair, where he participated in an informal panel discussion with Pitika Ntuli (Pitika Ntuli: The poetry), Gaby Magomola (Robben Island to Wall Street) and Linda Mvusi, daughter of Selby Mvusi, (Selby Mvusi). In the discussion, Soni spoke about the paradox of identity – the desire to belong and the yearning to be different – and the circles or layers of identity as explored in his book: Sociopolitical, national or ethnic, and existential identity. Where did it start? How did the book come about? It was with the birth of my daughter. I was holding this child, cradling her in my arms, sitting on the stoep in Pretoria, looking into her eyes, which seemed to lead to infinity, against the purple of Jacarandas in bloom. I was 50, a late age to become a father, married to a British white woman. And I thought: where did she come from? What will be her story? A child from a biracial marriage, born in South Africa, with invisible roots that straddled continents and oceans. The whole issue of identity was in the air, contested and real; a time when people were taking the courage to claim their past, tell their stories, penetrate historical walls of silence and forgetfulness. A spirit of the times, so to speak? How did she react to this story? She hasn’t read it yet. In fact I have two daughters now, the first is aged 12 and the second 10. Both keep a copy of the book with their private treasures. I find that interesting; mysterious and right: this book, with so much to say to them, waiting patiently, giving them time to find their own centre, their own voices, their own paths. And when they are ready, they will turn to it and it will speak to them. And for the lay reader, what is Looking for Lakshmi about? At one level it’s a simple, accessible, engaging story about a migrant’s search for an anonymous ancestor, lost in remote history. In the end, we are all migrants, moving through time and space, with maps to the past lost along the way. So in that sense we all have a yen for our personal “creation myths”. 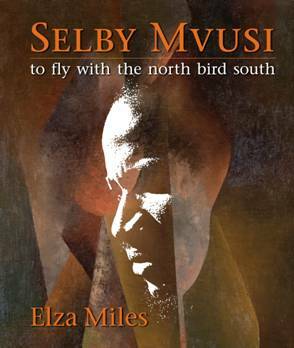 But what makes the book unusual and gives it both a sharp contemporary feel, and universal quality, is how the story is set in the context of political and social change, here in Africa and in India. And it reveals how intimately these two worlds have been connected for so long, centuries in fact. So much has been written about the Atlantic crossing, but virtually nothing about the historical patterns of migration across the Indian Ocean. Oh, it’s a play on words. Lakshmi is the goddess of wealth in Hindu mythology, and I think the expression “Looking for Lakshmi” evokes an instinctive pause among those familiar with Hindu lore. But I have used the term ironically, alluding to a different kind of wealth – the power of knowledge and education. What’s your favourite passage from the book? In those testosterone years, as Kenya moved inexorably from independence to Africanisation, the cool of the temple where I had heard oral renditions of the Ramayana gave way to the sounds of Motown, and the political pull of Pan-Africanism and Black Consciousness. My identity was unravelling, and around me the rich tapestry of the Indian community in Kenya was being unstitched forever. Bibiji’s call had become very faint and sporadic, and gradually I gave up straining to catch a whisper from across the sea. So now this book is out, what next? 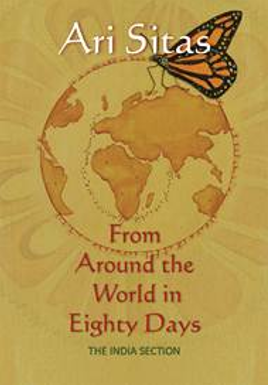 There are so many stories in a story, and there were so many detours that beckoned when I was researching this book. There is a figure in this book who makes a fleeting appearance, one of Lakshmi’s sons, in fact her favourite son. It’s the early 1940s in pre-Independence rural India. He escapes poverty by training as a forester and is posted to a neighbouring state where he meets a teacher. They fall in love at a time when the notion of romantic love is taboo. They marry. He comes home to share the news. And he dies the next day, poisoned by the family whose daughter to whom he had supposedly been promised. But the story that really held me was that of this man’s widow. She never re-married. She was peripheral to my research in Punjab. I had limited time and resources and was focused on tracing Lakshmi’s life. But I discovered that this woman, this widow, this aunt of mine, was still alive and in her 90s. That she had devoted her life to the education of girls; yet another untold story on the invisibility and strength of women.